Infrequent bowel movements or painful stools can be quite troublesome. Although, it is common, chronic constipation is quite worrying. Medically, less than three bowels in a week is termed as constipation but many people suffer from a milder version of this problem due to lifestyle and dietary preferences. The easiest solution to this is a balanced diet with plenty of fibers. Try to go for a walk or engage in a mild workout regularly. Often sedentary lifestyles are to be blamed for irregular bowel movements and therefore, try to improve your activity levels throughout the day. Drink plenty of fluids including water and fruit juices to ease bowel movement. Besides, limit your caffeine intake and switch to healthy eating habits which include food from all the essential food groups. 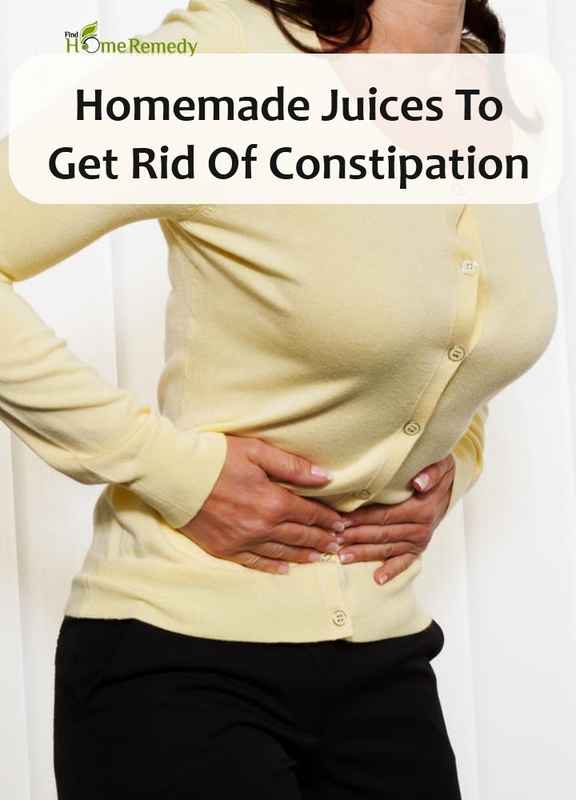 While whole grains, fruits and vegetables are ideal for treating constipation, there are certain homemade juices which can also get rid of this ailment. To prevent constipation, it is recommended to drink half to one cup of prune juice every day. The dietary fiber content of prune is extremely high and therefore aids in easy bowel movement. An 8 ounce glass of prune juice has 2.6 grams of fiber and is therefore, perfect for getting rid of constipation. Besides, sorbitol in prunes soften stools and offers relief from this problem. 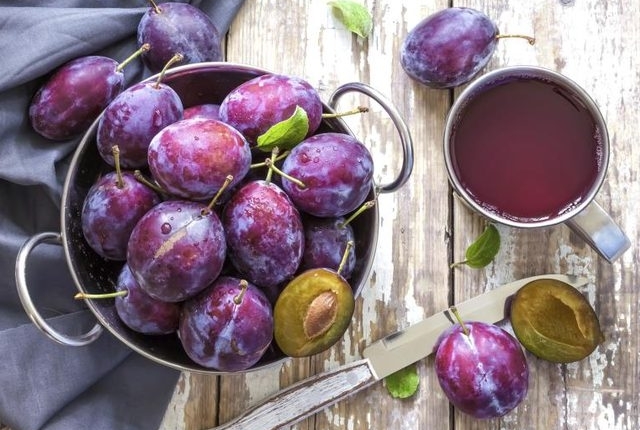 You can make an amazing prune juice by blending 5 to 6 prunes with a cup of warm water. Season with ½ teaspoon of cumin powder and honey for excellent taste (1). 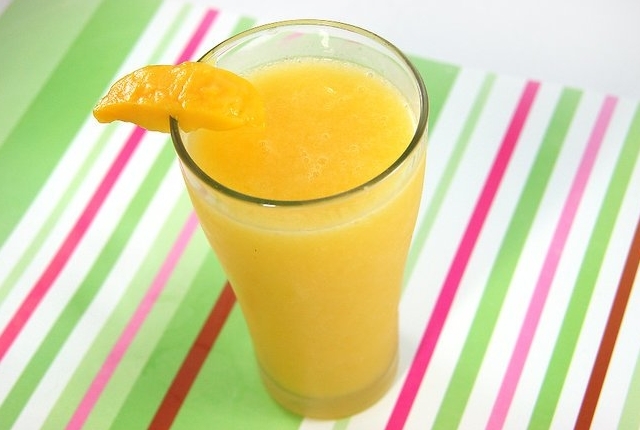 Mango juice is excellent for easing constipation. A fiber and nutrient rich fruit, it is often recommended in the treatment of constipation. It is also a good source of sorbitol, an ingredient that is known to soften stool and therefore, eases bowel movement. Children as well as adults can opt for mango juice as means to get relief from constipation (2). Pear is a great source of dietary fiber and is rich in sorbitol, a substance that facilitates bowel movement. Therefore, pear juice can help you if you are suffering from constipation. 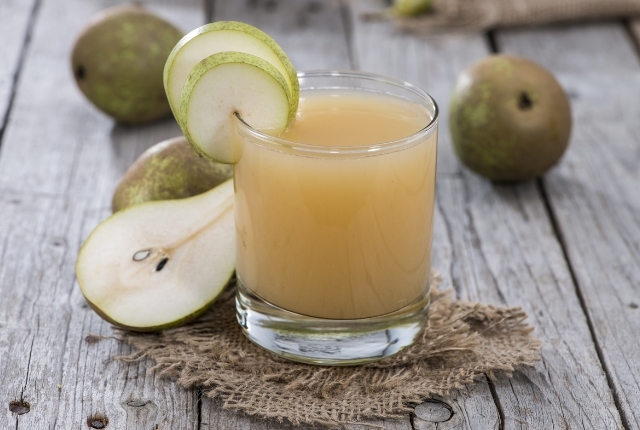 To make this juice, chop 2 pears and blend it in a food processor or juicer. Take out the juice in a glass and add a pinch of black salt along with a dash of lemon juice. Mix all the ingredients very well before drinking (3). There is a common saying ‘an apple a day keeps the doctor away.’ This holds true in most cases because apples are extremely healthy and are wonderful sources of fiber, essential minerals and vitamins. Besides, apples have a mild laxative effect that helps in constipation. To prepare a juice that is particularly beneficial for constipation, add ½ teaspoon of fennel powder to a glass of apple juice. Fennel seeds also have a very high dietary fiber constitution and helps to retain water in the stool. Therefore, it facilitates easy bowel movement. 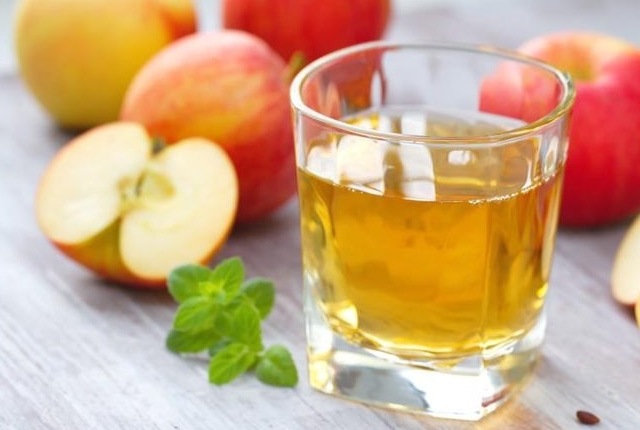 To make the apple juice, blend 1 apple with ½ cup water and ½ teaspoon of fennel seed powder. Mix thoroughly and consume (4). To completely get rid of constipation, include high fiber foods such as banana, watermelon, apple, pear, lemon, spinach, broccoli, carrot, beetroot and beans in your diet. Apart from these, opt for healthy nuts and seeds. Also remember to increase your water intake and opt for healthy juices that will facilitate your bowel movement.